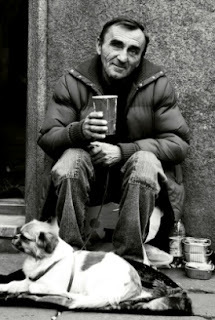 ANGEL HANZ FOR THE HOMELESS INC.
"WE NEVER FORGET ABOUT THE PETS"
Do you have a passion for pets? Would you like to make a difference by helping the homeless help themselves? ANGEL HANZ FOR THE HOMELESS INC. is seeking donations for its growing operation to support costs for monthly storage of donated items. As an efficiently organized nonprofit, we always find ways to control our fixed costs. However, without your support, we will be forced to reduce our ability to help the most vulnerable members of our community and their pets. Please donate to $10 of Compassion Ongoing Campaign Drive sponsored by Edwardo Willingham and reach out to family, friends, neighbors and coworkers to encourage their donations. ANGEL HANZ FOR THE HOMELESS INC. appreciates your support!